Wouldn’t it be nice if your Buick not only got you where you needed to go but made you a better driver in the process? With OnStar® Smart Driver, it can. OnStar® Smart Driver is a recently launched opt-in service available for most 2015-17 model year Buick vehicles as part of the OnStar® Basic Plan. * It’s designed to help Buick owners maximize their vehicle’s performance, reduce wear and tear, monitor fuel efficiency, and become better drivers – all of which can help owners save money as well. The service is available at no additional cost and once enrolled, customers with eligible vehicles receive ongoing driving behavior feedback, such as hard braking, hard acceleration, late night driving, distance driven, time spent idle, speeds over 80 mph, average MPG and average MPH, as well as helpful tips to enhance their driving skills. 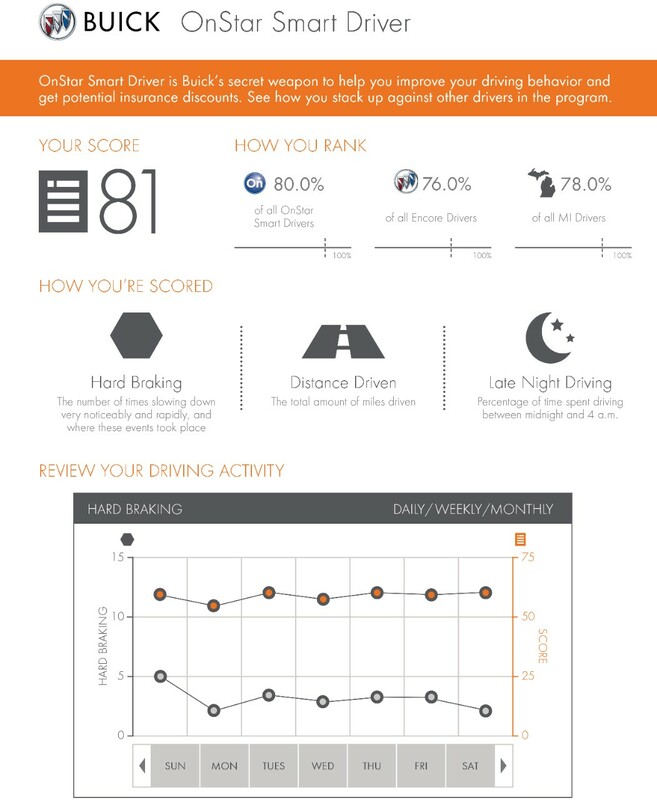 This is compiled into an overall OnStar® Smart Driver score, which can be compared anonymously against other drivers enrolled in the service. Customers can also choose to enroll in the Insurance Discounts Eligibility portion of the service, which provides a risk-free way to determine if their driving behavior qualifies them for discounts. ** Participating insurance companies include Progressive, Liberty Mutual, and Nationwide. 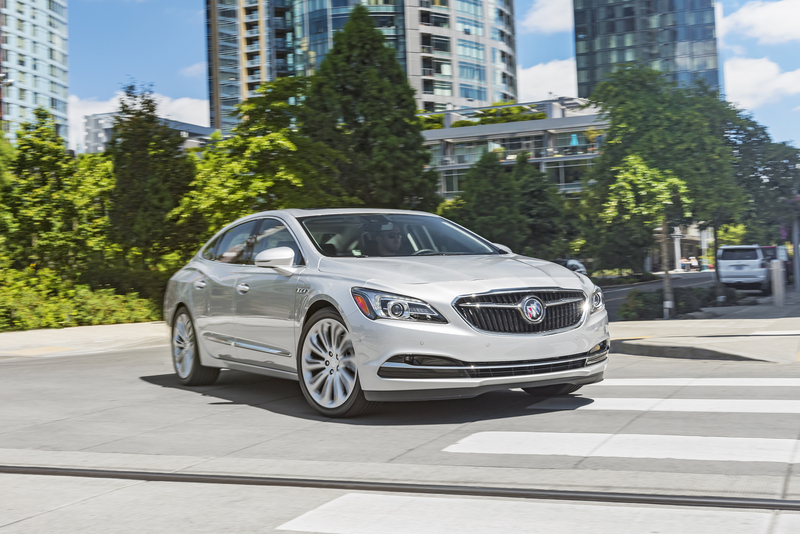 In addition to providing exceptional comfort and attainable luxury, the Buick brand is also committed to driver safety and OnStar® Smart Driver is yet another innovative way to achieving that goal. For more information, a detailed demonstration of the service, or to see if your current Buick model is eligible, don’t hesitate to contact us online or visit Rivertown Buick GMC at 1661 Whittlesey Rd, Columbus, GA 31904. * OnStar Basic Plan is available for five years from the delivery date of eligible 2015 model year and newer vehicles and is transferable. Basic Plan does not include Emergency, Security or Navigation services; these and other services require a paid plan. Visit onstar.com for details. ** OnStar, General Motors and their affiliates are not insurance providers and are not insurance producers, and do not endorse any particular insurance provider or insurance producer. You should only obtain insurance and insurance advice from a licensed insurance provider.